The second Archery Shooters Association (ASA) tournament of the year concluded Sunday at the Uchee Creek Army Campground in Fort Benning, AL, with three Scott Archery and Custom Bow Equipment shooters taking top spots on the podium, and many more finishing in the top ten of their respective professional classes. 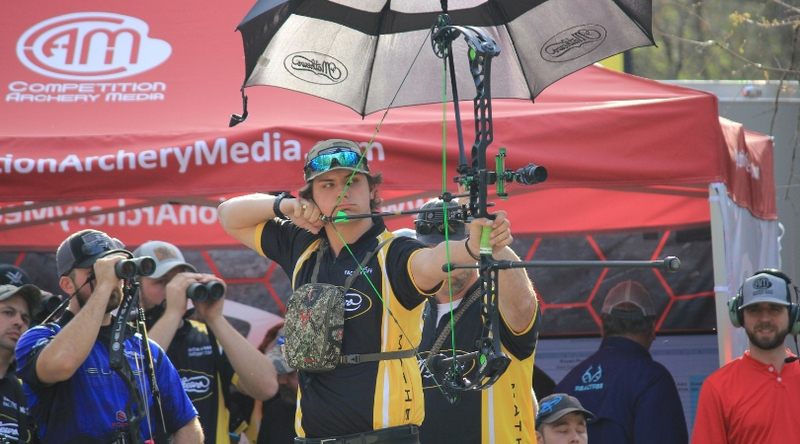 Finishing first in the Men’s Known Pro class with an impressive breakout performance was Dane Johnson, shooting a Scott Archery Halo and CBE Vertex. At just 17 years old, Johnson shot +24 on the first day of scoring to earn a third place spot on the scoreboard. Temperatures near freezing Saturday morning didn’t chill his game, as he finished +38 to earn a spot in the shootdown. There, Johnson sailed from fourth to first, dropping 12’s and 14’s to the delight of the crowd. In the same class finishing in the top ten for Scott Archery and CBE were Justin Hannah (4th), Garrett Ayersman (5th), Nathan Brooks/Jacob Marlow (6th), and Chance Beaubouef (8th). In the Women’s Open class, shooting a Scott Archery Mini Advantage and CBE Vertex, was Emily McCarthy, who led group on the first day of shooting. Saturday brought some challenges, but McCarthy shot strong to earn a spot in the shootdown where she ultimately placed third. 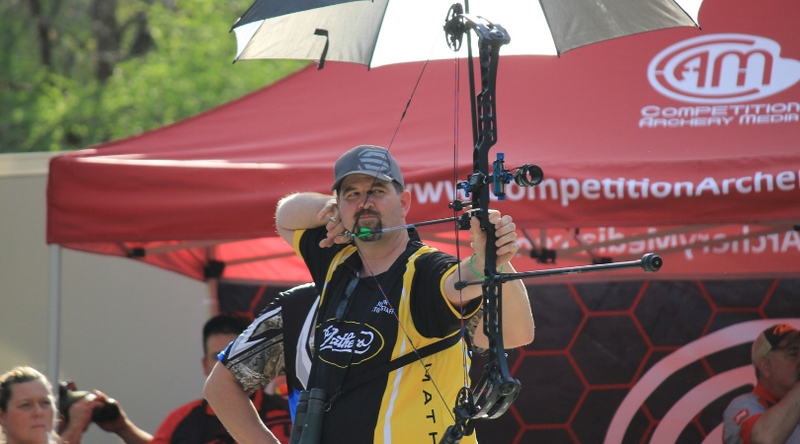 Shooting his new Scott Archery Ascent and CBE Vertex in the Men’s Open Pro class, Joseph Goza shot solid both days, earning a third place spot in the shootdown, where he maintained his score for a third place podium finish. Also shooting a Scott Ascent and finishing just behind Goza, was teammate Chris Hacker. Scott Archery and CBE shooters enjoy a few weeks to fine tune their equipment before heading to Paris, Texas for the third ASA of the year.